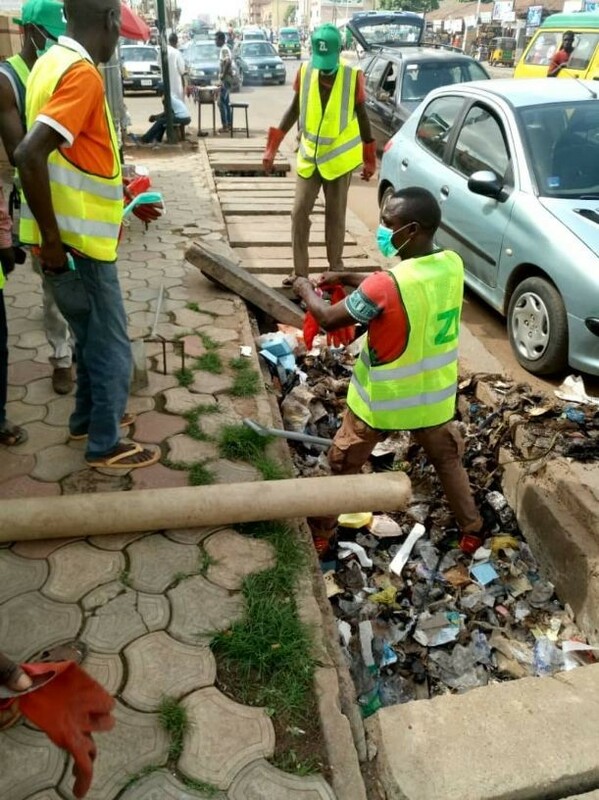 As part of strategies to prevent flood and cholera outbreak, Nigeria leading environmental management company, ZL Global Alliance on Friday began desilting of major drains in Kaduna, the capital city of Kaduna State. Fielding questions from newsmen during the operation, Operation Manager, Abduljalil Lateeef said, the exercise became necessary to ensure free flow of water into River Kaduna. According to him, the Company apart from its contractual terms with the state government, was working in line with the plans by Governor Nasir El-Rufai to free Kaduna from perennial flooding and disease outbreak to prevent people resident in the state from out-of-pocket medical bills. He said, “we are starting this desilting exercise from Leventis roundabout through Ibrahim Taiwo road, Kano road, Kotangora road, Jos road, Katsina roundabout, Lagos roundabout to terminate at River Kaduna by Stadium roundabout. “This is to remove anything that can stop free flow of water through drains. This will continue in the next few days. We are targeting all the major roads in Kaduna including Constitution and Independence roads. “This is not part of our job, but we are trying to be proactive especially with the heavy rainfall we are experiencing now. It is part of our corporate social responsibility to the good people of Kaduna State. “As we are doing this, we also engage locals on sensitization, showing them the best way they can manage their refuse without pouring them in the drains. We are disinfecting along the line. So, it is like three in one exercise”, he added.